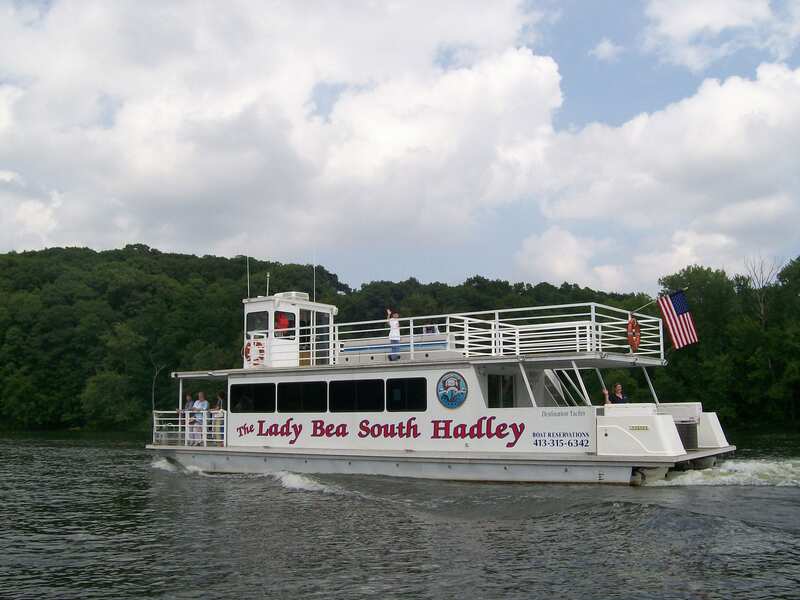 The Lady Bea Tour Boat with full bar onboard, light snacks, 75-minute narrated tours of the Connecticut River, 12:00, 2:00 & 4:00pm seven days a week June-September. Sunset entertainment cruises Thursday, Friday, and Saturday nights depart 6:30pm. Private charters available for birthdays, meetings, anniversaries or bachelor/bachelorette parties. Book early! Located at Brunelle’s Marina & Dockside Restaurant.